A few steps on the wooden dock, Evan opened his mouth to get Lyon's attention when the blonde turned her head. His tongue stuck to the roof of his mouth for a second as his eyes traveled down her body and back up in disbelief. They watched me, too closely to be casual. Tamlin straightened a bit and said, "You look...better than before." Wow those compliments were off the chain. I am guess Charlie's look has changed a bit. OOOh great teasers! Dying to read ACOTAR! AHHHH ACoTAR! I cannot wait to read that book. Love the teasers. I'm reading Throne of Glass finally.... yeah, late to the game. 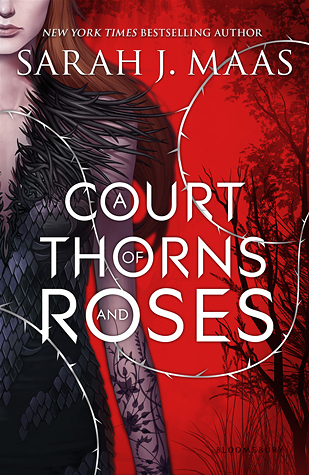 I am so ready for A Court of Roses and Thorns. Eeep. That teaser made it all the better. Definitely adding Bringing Home the Bad Boy to my tbr!!! Ooh, I like bad boys. And that teaser, sounds like he got a surprise.